We’re taking it nice and slow as we walk through 1 Peter. We’re only going to meditate on and contemplate the first two verses this week: 1 Peter 1:1-2. As we get to know Peter’s audience, we also learn to hear Peter comfort us in his opening “hello” of 1 Peter. He is writing to you! He is writing to me! This week, we find comfort in this radical identity that we have from our: chosen, foreknown, sanctified, scattered exiles, who are in constant need of more grace and more peace. In this our identity from our God, we are safe. 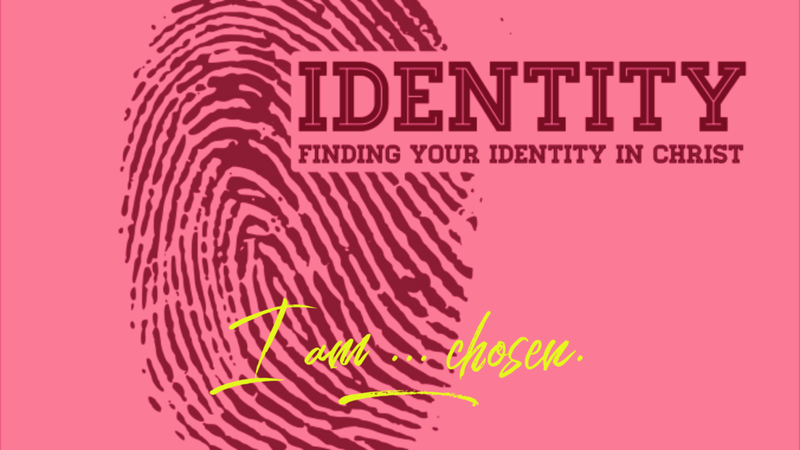 Enjoy your time with your Savior this week as he comforts you and solidifies you in your identity. Verse: Ephesians 1:4 – For he chose us in him before the creation of the world, to be holy and blameless in love before him. CSB. Prayer: Lord Jesus, I can’t believe it. It seems to be good to be true. I know well my failures and my flaws. I know well how I have sinned against you and against so many other people. But you chose me to be yours. You redeemed me with your own blood. You made me holy and blameless through your blood and perfect life. You picked and chose me to be yours. What a precious choosing! Lord Jesus, now I pray, keep me in this faith to which you have called me. Keep me from falling away from this grace you gave me. Keep me from wandering away after my own devices. Lord Jesus, just as you chose me in love to be yours, so in love keep me safe in the faith until I reach eternity with you. Prayer: One thing is needful; Lord, this treasure, teach me highly to regard. All else, though it first gives pleasure, is a yoke that presses hard. Beneath it my heart is still fretting and striving, no true, lasting happiness ever deriving. This one thing is needful; all others are vain – I count all but loss that I Christ may obtain. Amen. Prayer: Lord Jesus, you have given me such a foundation on which to build my faith and to lead my life. You have inspired them to write your Words for me and for my salvation. They aren’t making stuff up out from their own imaginations. It’s not coming for a smoke-filled room. Their words are your words, and they are perfect, good in every way. Every word of the Bible is inspired by the Holy Spirit. Help me to open my ears and my hearts to listen carefully to every Word that you have given. Teach me to lead my life and build my faith on the sure and certain foundation of your Word. Amen. Prayer: Lord Jesus, when you conquered death and appeared to your disciples, when you poured out your Holy Spirit on your disciples, they lived and preached with a whole new boldness and confidence. Where they were previously timid and afraid, now they were unafraid and unabashed in their preaching and ministry. Lord Jesus, let your resurrection fill me with the same confidence. Let your Spirit give me the same boldness. I am yours! You bought me and I belong to you. I cannot lose since you conquered death and defeated all my enemies. Your message is true and powerful whether people believe it or not. It will never return to you empty or void, but is like the rain that pours down from heaven. Set me on fire with resurrection and Spirit-given swagger to keep on living. Let these words of Peter be mine: “I can’t stop speaking about what I believe!” Amen. Prayer: Jesus, after all the ways in which Peter betrayed, abandoned and failed you, these last words you speak to him are amazing to hear. Even after all the ways in which he had abandoned you, you never abandoned him. In fact, even after all the ways in which he had failed you, you still wanted to use him for the kingdom; you even touched my faith and life me by his writing and his teaching! God, this inspires so much hope in me. Your compassion and mercies are new for me each day. This day, Lord, forgive me as this day begins. Cleanse me and create in me a new heart, O God. Your calling to follow you is new this day too, Lord Jesus. Help me to follow you as my Lord and God, today. Wonder of wonders, you still call me to follow and you still desire to use me. Help me make the most of my moments today. Amen. Verse: John 2:11 – Jesus did this, the first of his signs; in Cana of Galilee. He revealed his glory and his disciples believed in him. CSB. Prayer: Lord God, the Bible is full of accounts from your ministry and life that demonstrate your power and your glory, your grace and mercy, your compassion. Each story presents you to me as my Savior. Each story shows me what you are like and how deeply and dearly you care about me. Each story drives me to believe in you and to put my trust in you. As I follow you this year, and dive into your Word, show me who you are that I may believe in you and be saved by you. Amen. 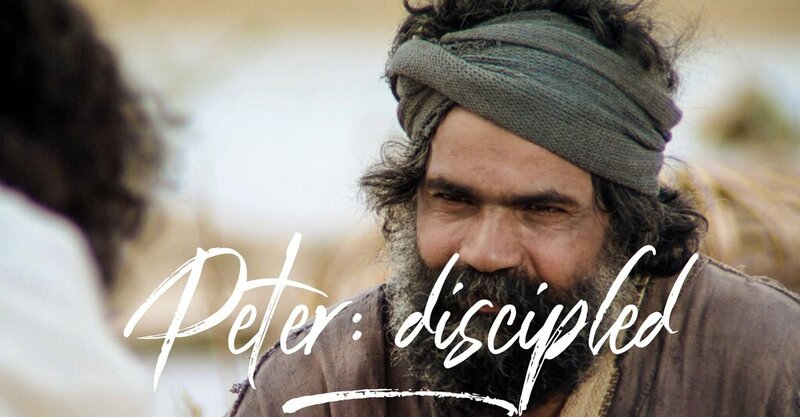 Verse: Acts 4:13 – When they observed the boldness of Peter and John and realized that they were uneducated and untrained men, they were amazed and recognized that they had been with Jesus. CSB. Prayer: Lord God, you called, trained and then used fisherman to be your disciples, to be your apostles and even to lay the foundation for the church through the Spirit-inspired teaching, preaching and writing. Father, you have called me to be your child. You have made my holy by your Son’s blood and by the Spirit’s work. Use me, just as I am, just as you have created me, to serve you this year. Equip and disciple me this year for every work that you have prepared in advance for me to walk in it. Inspire and set me on fire to follow you with devotion and dedication this year. This is your year and the life you have given me to live. Help me dedicate all that I do to you and to your glory. Amen.